FC Barcelona’s European campaign gets back under way on Tuesday with a trip to France to take on Paris Saint-Germain. This seems like a good moment to catch up on how all the different professional teams at the club are getting on with their own quests to win continental silverware. All times Central European Time. This season: Barça finished six points clear at the top of their first round group ahead of Manchester City (England), Borussia Mönchengladbach (Germany) and Glasgow Celtic (Scotland). They now face Paris Saint-Germain (France) in the round of 16. This season: Barça qualified directly for the round of 32, where they beat FC Minsk (Belarus) 5-1 on aggregate. They then beat Twente (Holland) 5-0 on aggregate to reach a quarter final against Rosengård (Sweden) and the chance of a first ever semi-final place. This season: Barça finished three points clear at the top of their first round group ahead of Manchester City (England), Borussia Mönchengladbach (Germany) and Glasgow Celtic (Scotland). They now face Borussia Dortmund (Germany) in the single-leg round of 16. This season: FC Barcelona Lassa are currently 8-14 in the 16-team regular season table. With eight games to go, they are ranked twelfth and as things stand would miss out on one of the playoff berths, reserved for the eight highest finishers. Still time to make up lost ground! Fixtures: Emporio Armani Milan v Barça Lassa (February 23); Barça Lassa v CSKA Moscow (March 3); Barça Lassa v Unics Kazan (March 9); Darussafaka Dogus Istanbul v Barça Lassa (March 17); Real Madrid v Barça Lassa (March 22); Barça Lassa v Red Star Belgrade (March 24); Barça Lassa v Maccabi FOX Tel Aviv (March 30); Fenerbahce Istanbul v Barça Lassa (April 6). 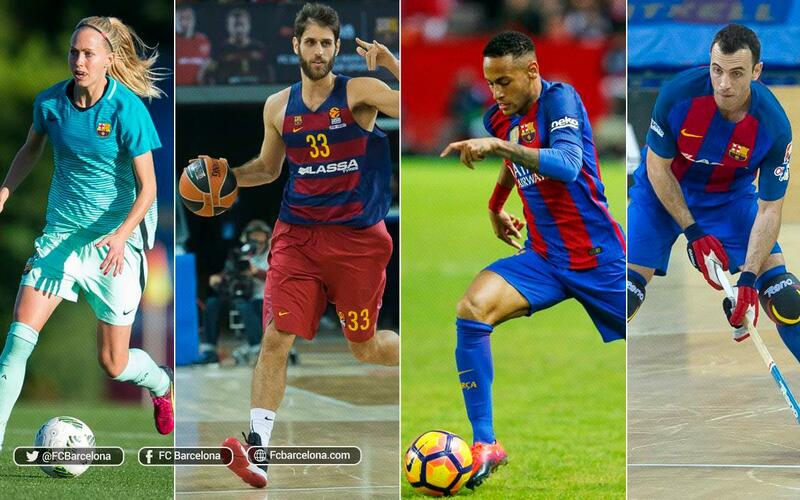 This season: FC Barcelona Lassa are currently top of eight-team Group A with nine wins and just one defeat. There are still four games to go, but if they can hang onto that position, they will go straight into the quarter finals. If not, they are already guaranteed at least a place in the round of 16. This season: FC Barcelona Lassa are not competing in the competition this season. This season: FC Barcelona Lassa are top of Group B ahead of Porto (Portugal), Bassano (Italy) and Mérignac (France) and are already guaranteed a place in the quarter finals with one game still to play.